It’s new year, another year for us, another milestone in our pilgrimage in life. Only God knows what He has in store for us in this year. Certainly, it would be a year of many blessings, of opportunities, of challenges and ways to overcome them. 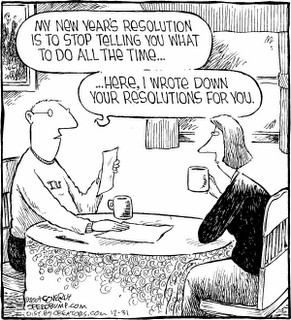 Times like this, ‘making new year’s resolutions’ is a common desire. New year’s resolutions grabbed my curiosity yesterday. It’s not that I haven’t done this before. I think I had made one like this before when I was still in grade school, as part of our assignments on the holiday. I didn’t know what I’ve resolved to do or be then, and I can’t remember also if I had kept my resolutions. I might have because at the end of the year, I got the honour’s award. Anyhow, out of curiosity I browsed through the Internet yesterday to see what is the most common new year’s resolution. I found out that ‘losing weight’ is one of the most popular ones. This made me chuckle because it kept me thinking if many of the people who have this resolve, have really kept this and made this happen. I don’t know and I can’t tell. However, it helped me to make one resolution for the new year- and that is ‘I will resolve to be FAT.’ I’m not talking here of physical aspect as in putting on much weight, but FAT as in Faithful, Available, and Teachable. I resolve to be FAITHFUL to God, to my calling as a priest, to what God has called me to be and to do. I also resolve to be AVAILABLE for God to work in me, to work through me and for God to be really alive and real in my life. Part of this resolve for availability is to make myself available for others by way of helping those who are in need, listening to those who are needing a listening ear, be a friend to those who are isolated from the community for any reasons, and be a companion to those who felt like they are left on their own in this journey called pilgrimage of life. I also resolve to be TEACHABLE, that is I must be humble and open to new ways of understanding things, as well as widening my horizon to see things from different perspectives. To be FAT is indeed my resolve. And I hope and pray this will come to fruition. This is also my New Year’s wish for you all that you stay FAT (faithful, available and teachable). I realize though that I can keep up on this if I contemplate and learn from the ways of Mary, the Mother of God, whose solemnity we celebrate today. Despite all odds, difficulties, challenges, threats of life, even reputation at stake, as a mother she stayed close by her Son Jesus. She remained in Jesus’ company from her womb to the tomb. She remained faithful to her noble vocation as the Mother of God. She made herself available for God always. And she remained open to the ways of the Holy Spirit by allowing to be taught by God himself of the things that matter, of the things necessary, and of the things worth doing and worth keeping. For us this calls to remember the past year with gratitude to God for all the blessings He has given us, for the opportunities He has offered us, for his continuing help and support for us throughout the year, and for helping us overcome the many trials and challenges we had to face last year. Let us also remember the past year with gratitude for the people, the friendship, the companionship we have formed and enjoyed during the year. To live the present with enthusiasm calls us to just be ourselves, to be true and be honest to ourselves, before God and before others. This means we don’t pretend to be someone we are not. Most of all, let’s keep up the faith and continue to live in hope. Faith and hope together keep us optimistic and keep us on track. To look forward to the future with confidence means that we are to stay in confidence that trust that we have God, and that we have each other as we continue our journey towards the future. This means we must go beyond doing the ‘selfies’ all the time, keeping our focus not mainly and solely on ourselves but also to others especially those in need. Let us be a sign of hope to those who are despairing, a peacemakers in the midst of trouble, a living witness for Christ in the world where people think God doesn’t matter anymore. 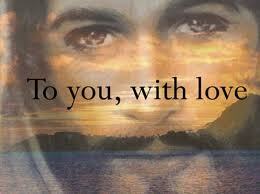 We are just on a journey through this earth, our eternal home is in heaven. This is our future yet we must look forward to it with confidence and trust that with God’s help and grace, we’ll get there and enjoy eternal life with him. I wish you all a happy, prosperous and grace-filled year ahead. Happy New Year.